Last year Samsung released their most successful smartphone to date in the form of the Galaxy S3, with the device helping the company to further tighten their grip on the Android platform. Since the turn of the year we have been hearing regular rumours and speculation about the handsets replacement, and now the Samsung Galaxy S4 is rumoured to have some new features called Eye Scroll and Eye Pause. The release of the Samsung Galaxy S3 last year brought with it a new feature called Smart Stay, which would stop the handsets display from switching off while the user was still looking at it. Now though the company looks to go further with the Galaxy S4 after filing for two new trademarks called Eye Scroll and Eye Pause. The trademark requests were filed with the European Union on the 21st of January, and while there are no details with the filings the names have given some an idea what they may do. 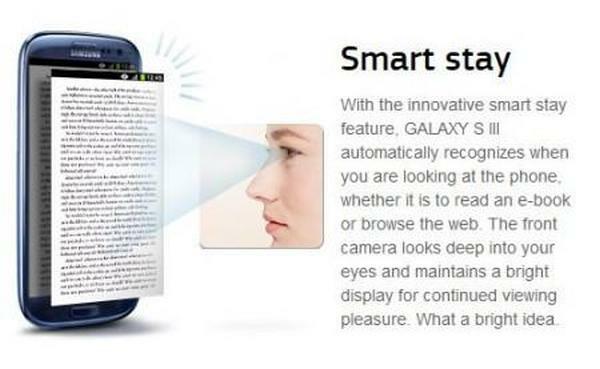 The Samsung Galaxy S4 if released with these new features could be using some sort of eye tracking technology that could be used while watching video content. While the video is playing if you look away from the display the handset could pause the video, and recommence playback when you look at the screen again. With the Eye Scroll feature this could be used while viewing web pages, and when the user’s eyes scroll down the screen the page could automatically move down in sync with your eyes. Of course this is only speculation to what the features may bring to the table, but given the Smart Stay feature on the Galaxy S3 there is a good chance it will be along these lines. Recently we have heard the handset could make its debut on March 22nd with shipping beginning the following month, and we have even seen some images that could be of the handset. Source and image: SamMobile. Do you think these features will appear on the Samsung Galaxy S4?